Protecting your home’s exterior from the elements is essential to maintaining property value as well as the beauty and integrity of your home. Just as each home has unique painting needs, the exterior surfaces of your home require special preparation and coating. 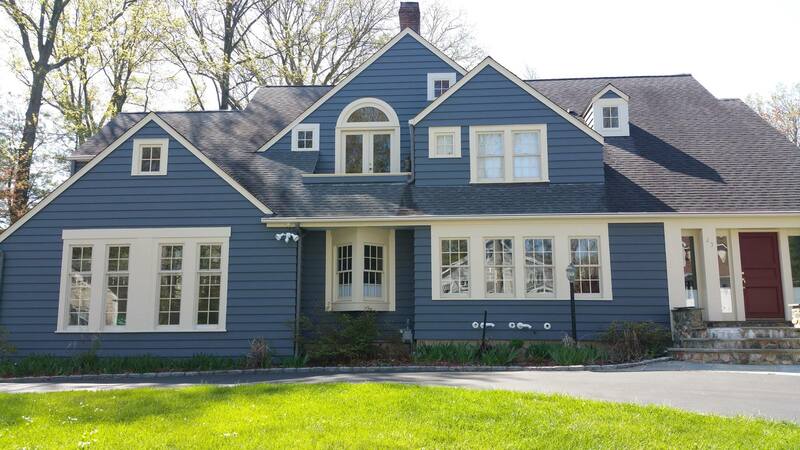 Whether you need wood surfaces painted or stained, your siding painted, or the trim, windows, and doors touched up, rest assured we will work with you to ensure your home’s exterior is properly prepared for painting and done according to your specifications. As a professional painting contractor, we understand proper preparation means long-lasting exterior paint. Our commitment is to prepare the exterior surface and ensure that the surface is not too moist to paint. This takes time, and many painting contractors do not make the time for this crucial step. After proper preparation, careful painting creates a stunning, lasting exterior painting project that enhances the beauty and value of your property. 1. Powerwash the entire exterior, and strip any decks you have chosen to paint or stain. 3. Scrape and sand loose or peeling paint. 4. Feather sand edges to leave a smooth, level surface for new paint. 5. Apply primer to every area that shows raw material: wood, metal, hardie plank. 6. Take out any old caulking and apply high-quality caulking compound. 7. Cover all windows with plastic and all landscaping and ground areas with drop cloths. 8. Apply two coats of high-quality, undiluted paint, allowing adequate drying time between coats.